"RHS Gold Medal winner - Colorado Mushroom"
Copyright © 2107 Marjorie Leggitt. This image is available for reuse purchase. The faculty of the Denver School of Botanical Art and Illustration won a Gold Medal for our group entry of ten illustrations. This is the first time in 30 years a group award has been issued. 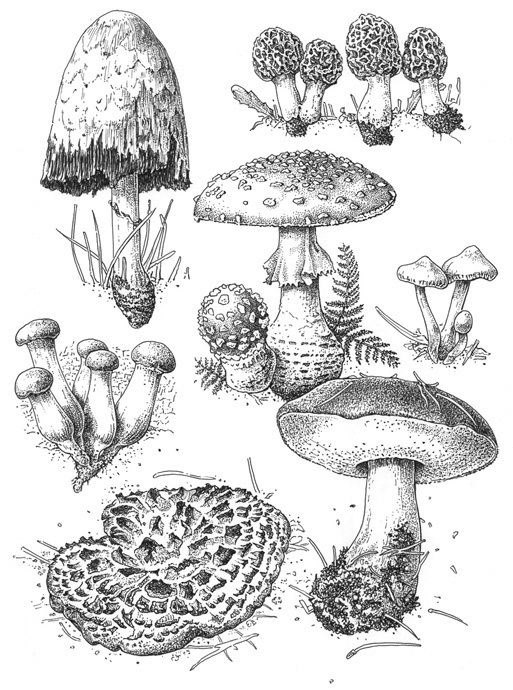 My entry, Colorado Mushrooms, is a pen and ink illustration created using both dried herbarium specimens and living fungi collected throughout Colorado.